When it comes to long term investing in your IRA, diversification is often cited as a valuable way to help avoid the risk of overweighting your IRA funds in any one asset class. As the saying goes, be careful of putting all your eggs in one basket. The reason for such advice is not hard to figure out; while different asset classes have their appeal at different times, they also are subject to downturns as well. Balancing your portfolio between asset classes that have different performance criteria can help buffer your portfolio from the risk of being devastated if one asset class performs poorly. Given the potential of precious metals to do well during times when bonds and stocks are not performing well, putting a portion of your IRA in these types of investments can add balance to your holdings. What Drives the Performance of Precious Metals? While short term gyrations in precious metals such as gold and silver are no easier to predict than short term moves in the stock market, in the longer term precious metals have tended to do well in times of high inflation and economic distress. Given the scarcity of gold, silver, palladium, and platinum, and the difficulty involved in increasing the supply of these metals, it is no surprise precious metals have a long history as inflation hedges. While the supply of gold and its brethren available to investors only increases by a modest amount as the metals are mined from the ground at not inconsiderable expense, the same is not always true when it comes to the fiat currencies of the world. These currencies, backed only by faith in the governments that issue them, are restricted in quantity soley by the restraint of the fiscal entities behind them. As a result, there may be times when an economic crisis or some other event causes such currencies to be issued in excess, diluting their value and jeopardizing the purchasing power of those who hold the currency. As a result of their scarcity, during such times the value of precious metals tends to hold steady in the face of currency debasement, allowing them to serve as stores of value for those who own them. On the flip side, in times of solid economic growth and fiscal restraint, precious metals may not perform as well as investments such as stocks and bonds which can offer dividends as well as, in some cases, the potential for earnings growth to their owners. If it was possible to predict the future with precision, a balanced IRA portfolio might not be so desirable. However, if you aren't confident in your ability to predict what economic conditions will be like 1, 5, or 10 years from now, balancing your portfolio can be an attractive method of reducing volatility and risk. The last 10 or 15 years provide ample evidence of the volatility inherent in different markets, with the stock market having risen dramatically only to crash before recovering twice in the last 13 years. Gold, having begun a long term bull market in the early 2000s, has in recent weeks seen its price fall dramatically, a result of, according to some reports, a rising dollar and an improving economy. The price of bonds, after a multi-decade bull market, has been volatile recently as well, demonstrating that even investments which are considered to be conservative in nature are subject to rapid price swings at time. While the prices of precious metals such as gold and silver have declined recently, it is not clear that the factors which helped propel them to all-time highs over the past few years are now out of the equation. Central banks worldwide continue to attempt to spur their economies with currency creation programs known by the moniker quantitative easing (QE). At the same time, recent reports regarding European economic activity have not been altogether promising, and even US business activity has shown some signs of weakness as well lately. Under these circumstances, as long as central banks continue to prime the monetary pump with QE programs, the risk of inflation rearing its ugly head is not inconsiderable, providing ample motivation for investors to seriously consider adding some precious metals to their IRAs. 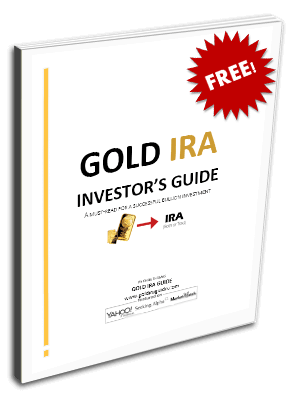 If you would like to get started and invest in gold as part of your IRA, we highly recommend requesting the free gold investment kit below that we are offering you in partnership with Regal Assets LLC. Regal Assets is an award winning California based gold investment company that specializes in gold IRAs.